MANILA — As one of the nation’s leading food manufacturers, Monde Nissin prides itself on its environmental efforts including energy recycling, pollution control, and zero wastewater discharge. In its Sta. Rosa, Laguna plant, Erdy Allanta, 34, worked as a wastewater control operator for 17 years. The management had also asked him to train new employees. Despite his contribution to the company, Erdy remained contractual until he was dismissed last May, along with two others from third-party service provider Bauer International Philippines Inc. Fifteen more workers from another agency Sevenel General Services Corp. were terminated the following week. 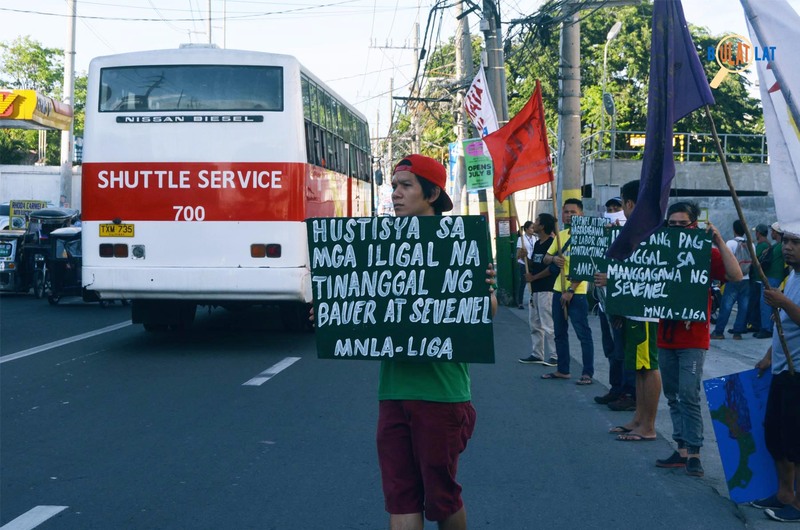 This prompted members of Monde Nissin Labor Association-LIGA (MNLA-LIGA), which Erdy is a part of, to build a protest camp outside the Sta. Rosa factory. 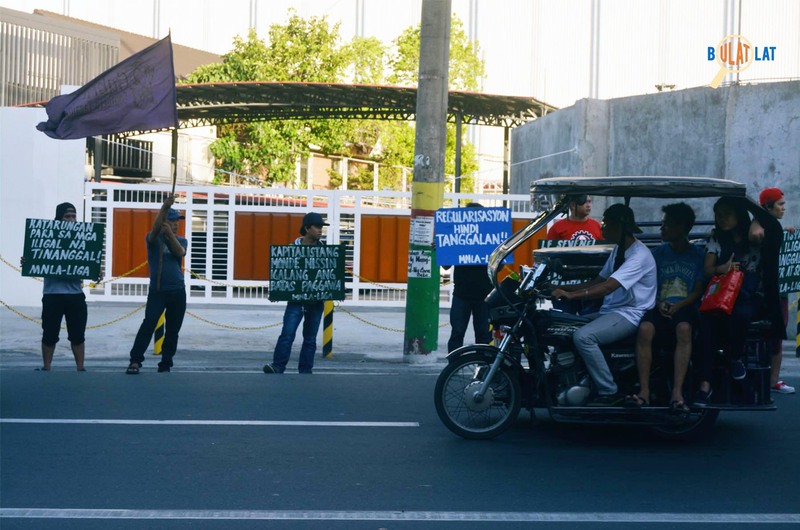 Every day since early June, workers from five out of 21 labor contractors inside the local firm hold a mobilization to demand the regularization of employees at Monde Nissin and reinstatement of dismissed workers. After weeks of protesting, not only is their camp in danger of being demolished. One hundred more workers from a different agency are penciled for dismissal soon, according to MNLA-LIGA. Like many of his colleagues, Erdy signed an open contract with his agency when he started working for Monde Nissin. He took a two-month leave after the death of one of his siblings followed by his wife’s miscarriage. When he came back to work, he was slapped with a termination notice. Monde Nissin claimed that the company’s contract with Bauer had ended but there are still employees under the agency working in the factory, according to Erdy. “When the management found out we are members of Monde Nissin-LIGA, they dismissed us,” he said. Under Article 281 of the Labor Code of the Philippines, probationary employment should not exceed six months. Many of dismissed Monde Nissin employees, however, had been working in the factory for years. Because they are not regularized, they left the company with no benefits. 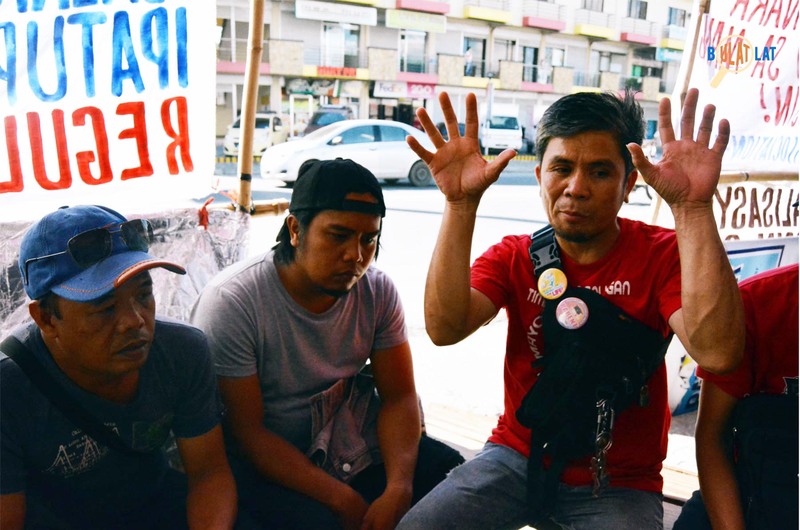 It was even a bigger challenge for breadwinners like Erdy who had to bring his family to the province where they will temporarily stay while he continues with the protest. He has four children, all attending school. Monde Nissin also dismissed 10 employees from the agency Hand Across the Sea (HATS) in 2017, after which workers who had concerns decided to form MNLA. According to MNLA spokesperson, Luis Dela Paz, employees had always tried to communicate with their agencies but were ignored every time. “We experience the same thing under our agencies so we decided to form an association,” said Luis, who had been working as a forklift operator for three years. MNLA requested an inspection of the plant which was granted by the Department of Labor and Employment (DOLE). According to Luis, DOLE officers were not allowed to inspect the whole factory during their first visit on June 2017. Instead they were brought into the management office and asked to return on another date. “If they were to follow due process, they shouldn’t have agreed with the management because it was an order, with a specified date on it,” Luis pointed out. When the DOLE inspectors came back a month later, the management had ordered their agency-hired contractual employees not to report that day or work a night shift instead. Some workers like Luis were transferred to a different task. The management had also handpicked workers who were going to be interviewed and directed them to the office instead of the inspectors going around the plant, Luis recounted. “We tried to talk to the inspectors because we were the complainants but the management, the security, prevented us from going near them,” he added. Luis said the Monde Nissin management had taken all those steps to hide the labor-only contracting that still exists in the company. Article 106 allows job contracting wherein the contractor is expected to have substantial capital and be able to provide minimum wage, security of tenure, and other benefits required by the law. Labor groups such as Kilusang Mayo Uno, however, have long been calling for the prohibition of all forms of contractualization. The DOLE order 174 was also heavily criticized by the labor sector for the same reason— it only regulates job contracting instead of completely banning it. The workers waited for the inspection report but nothing came until they made an appeal to DOLE’s regional office. Because they did not like the results, they applied for a re-inspection which the Monde Nissin management did not anticipate. 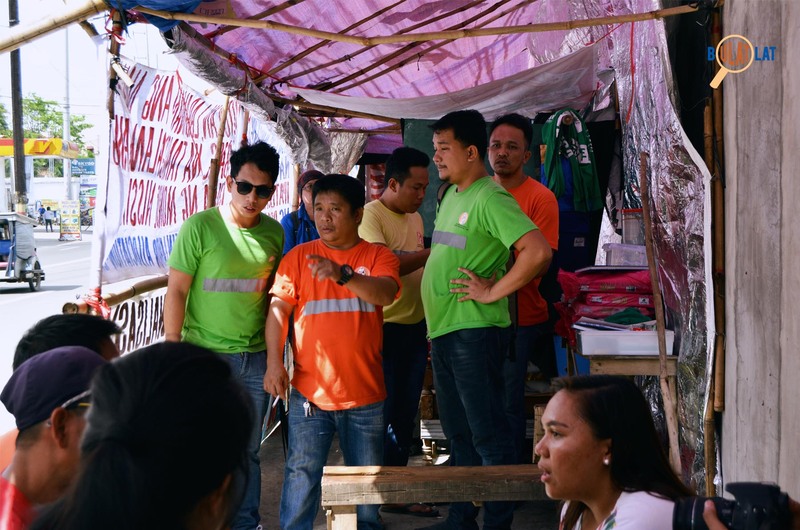 When the newly-formed taskforce of DOLE officers came to inspect the factory for the third time on December, they were barred from entering the site. MNLA then filed a case before DOLE, questioning this move by the management. According to Luis, the case was granted but there has been no significant progress since then. While the case is still pending, Monde Nissin proceeded to work with the agencies inside the plant to make it appear like their contracts have ended and conveniently dismiss employees like what they did with HATS, Luis said. “It’s illegal dismissal, what they did to workers under Bauer and Sevenel. It is stated in the law that when you have a pending case, you cannot simply fire workers from unions and organizations because there is an issue to be resolved,” he added. Luis said that around 100 employees under Toplis Solution Inc., the same contractor of protesting Jollibee workers, were offered ‘regular positions’ by the management. However, according to Toplis workers, they were just asked to apply to another agency. Because of this, it was expected by the workers that there will be another batch of termination soon. The workers protesting under MNLA are from agencies Bauer, Sevenel, HATS, Lazaiga, and Toplis.